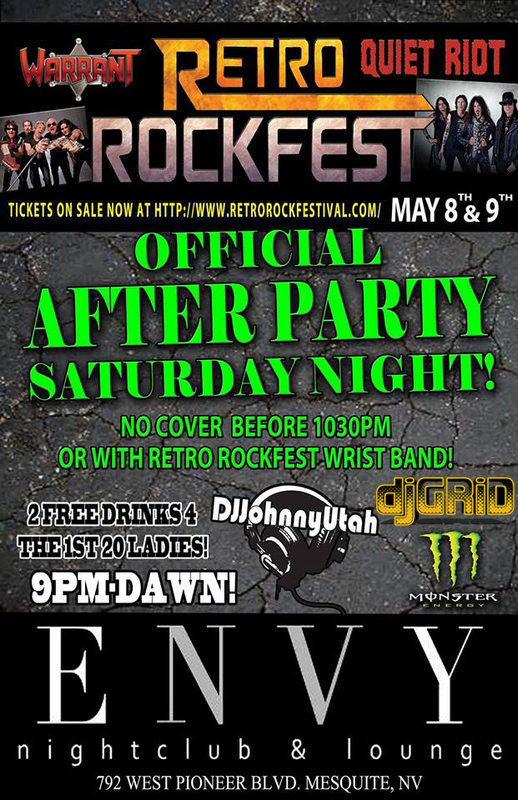 Saturday Night – Retro Rockfest After Party at Envy Nightclub and Lounge with DJ Johnny Utah and DJ GRiD in Mesquite, NV. Wear your Retro Rockfest Wristband for No Cover Charge After 1030pm. No Cover Charge for Everyone before 1030pm and the First 20 Ladies in the Door Get 2 FREE DRINKS. Get Ready to Party Southern Utah/Mesquite!